We continue to receive many visitor questions and comments about the when, what, where, and how much of Southwest Hawaii flights. We thought additional flights to and from Kauai, San Diego and Sacramento, plus nonstop flights to Kona would have been announced already. So now what? 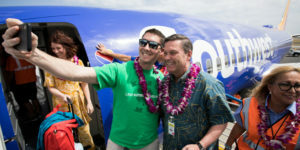 But first, if you didn’t know, Southwest flights between Oakland and Maui started yesterday. The airport is offering all Hawaii bound travelers on Alaska, Hawaiian and Southwest 4 days of free parking ($96 value) from May through Labor Day. 1. What’s the delay and when will San Diego, San Jose, Sacramento, Lihue and Kona (nonstop) flights be announced plus more inter-island flights? We still expect more routes, and perhaps all of those that are listed above, to be announced by the end of this month, and possibly sooner. As we noted over the weekend, that release may contain somewhat less than we had heard. The routes should still start by summer, but there may just be fewer flights and fewer non-stops for now. 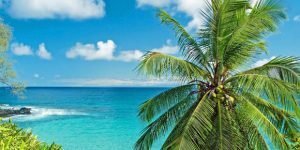 This information is critical for those of you planning a Hawaii summer vacation and we can’t wait to know more. The delay may in part be related to the Max 8 aircraft grounding, with some of the Hawaii 737-800 planes needed elsewhere. The rest of the Hawaii roll-out, including Las Vegas, Phoenix and Denver, could also now take longer than anticipated. Before the last Max 8 crash, the company was positioned to announce more flights and more Southwest Hawaii deals. While Southwest said that the Max problem did not complicate their Hawaii plans, there have been persistent rumors to the contrary. We don’t know when those grounded planes will be returned to service, but Southwest has taken them off their flight schedule through May at this point. We also don’t know when Southwest hopes to start flying the Max 8 to Hawaii. They are using ETOPS certified 737-800 aircraft at this time. 2. Why aren’t flights bookable from points further east than Denver and when will they be? That is because Southwest doesn’t have red-eye (overnight) flights. It is something that the airline has talked about changing, but from what we’ve been told, that could be many months to years away. There are logistical and staffing issues to address before those can start, although the airline’s reservation system was already updated to allow for them. 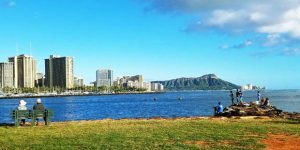 When overnight flights do happen, that should make Hawaii accessible (without multiple tickets and a layover) from points further east across the U.S. CEO Gary Kelly said, “we don’t really desire to fly red-eyes right now…. for our style of operation, it would complicate things.” Red eye flights are used by other airlines flying from Hawaii to enable the long flights and up to 6 time zones between Hawaii and the eastern US. When you attempt to book city pairs that require two separate SW tickets to Hawaii, you’ll get a message that looks something like this: “Sorry, we found some errors… Flights from Minneapolis/St. Paul to Honolulu (Oahu) are not scheduled to operate on mm/dd/yy. Please select an alternate date or choose another origination/destination.” That is your cue that two tickets are needed for now. 3. 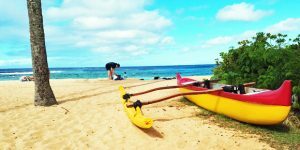 Do more Southwest Hawaii deals lie ahead for summer and fall? This weekend we also posted about the reported 17% drop in prices so far this year due to the Southwest effect on Hawaii airfares. Yes, there still will be summer and fall deals coming. We’ve already had two occurrences of $99 and less one-way fares to Hawaii this year. There are three triggers that will spur future deals. Those are when additional routes are first announced, when Southwest wants to move more Hawaii inventory, and when other airlines respond to these events. This will happen again, so yes, more deals lie ahead. Don’t despair. They may be slower to occur than we once hoped, but at the same time they could be more prolonged. Hawaiian Airlines will compete on mainland and inter-island routes and Alaska Airlines will join in mainland fare wars. American, Delta and United will take part as well. We are looking for intermittent mainland to Hawaii fares starting under $100 each way and inter-island fares in the $30’s each way. 4. When will tickets become available for dates beyond November 2, including the holidays? On May 23, the next Southwest schedule update is planned. That will include travel through January 5, 2020 including Hawaii flights. ✈ Flights to and from Los Angeles. Possibly later this year. ✈ Addition of inter-island and mainland flights to Hilo. Possibly later this year. ✈ Flights from Phoenix, Las Vegas and later, Denver to Hawaii. Perhaps not until 2020. While these additional routes could come at any time, Phoenix, Las Vegas and Denver will come last. Food, drink, entertainment and WiFi on-board. Southwest is offering free food in the form of two snack services. One soon after take-off and another two hours before landing, much like the snack boxes SWA had on longer flights years ago. The main post-departure service features a snack bag that includes crackers, pretzels, cheese spread, Tic-Tacs and fruit snacks. The second service consists of Pepperidge Farm cookies. There is no other food for sale so if snacks aren’t your thing, be sure to have food with you before boarding. Island drink offerings include pineapple/orange juice, Kona Longboard beer and Blue Chair Bay (Caribbean) rum. 3. Entertainment. The SWA inflight entertainment portal is active on Hawaii flights. That includes flight tracker, gate information, games, free live TV, on-demand TV, free movies and messaging. 3. WiFi on Hawaii flights. The airline is offering $8 Wi-Fi for the entire flight. Southwest satellite Wi-Fi on Hawaii flights provides gate to gate connectivity. Just don’t forget a charger/battery pack, as their aircraft do not have any charging capability. Hawaii flights will for now remain on ETOPS certified 737-800 aircraft, as are being used by some other carriers for flights to Hawaii. Once issues are resolved, they will transition to ETOPS certified 737 MAX 8 and perhaps 737 MAX 7. The latter brings cities like Denver into range. $25 Early Bird Check-in provides the option of automatic check-in before the 24-hour check-in and offers an earlier boarding position for a better chance of seat selection and access to overhead storage. We moved from the Bay Area to Reno and miss the large number of direct flight options to Maui. With 500k people now in the rapidly growing Reno area, we hope that SW will recognize this market for Hawaii flights is under served! I just found your website and I am very excited to see how much I can save with your suggestions – 19 people is a large group. 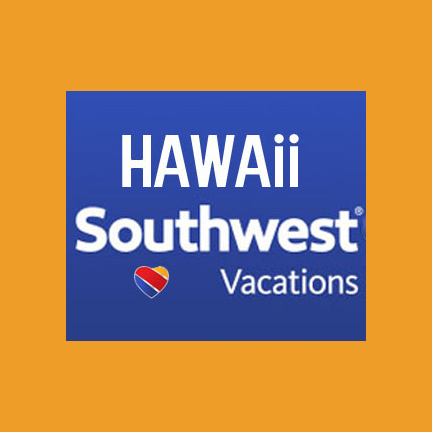 We are planning a week long trip at the end of April and I am hopeful I can use my Southwest points all the way to HNL. I am preparing myself to fall back on plan B – fly Southwest from OKC to San Jose the day before and fly out on Hawaiian Airlines (same on return). I was wondering if you thought I should try a group rate with Hawaiian Airlines. What are your thoughts? Thank you for your help – I really appreciate what you do for travelers. Yes definitely try for a group rate anytime you have 10 or more traveling together. Savings of perhaps 10%. Try multiple airlines. Hi! We’re planning a vacation to Hawaii this summer, and your website has become very usedul indeed. Keep up the good work! I managed to get what I belive is a really good deal flying San Diego to Kahalui, for $191 per person on July 31st. I now (in the next few months) need to book the flight back to the mainland, and due to an already booked onward journey my options are very limited. We need to fly the morning of August 9th from HNL, arriving at LAX that afternoon. I notice that United have a flight departing at 09:16, which would be perfect as it wouldn’t mean waiting too long at LAX for our next flight which is at around 21:30. Problem is, this flight seems to be very expensive for some reason. There are other flights earlier that morning, but waking up extra early only to wait many hours at LAX is not an attractive proposition, and those flights are not that much cheaper either. What do you think the chances are of the price of this, or other similar flights, coming down significantly in price, considering the arrival on SWA next year? And when might be the best time to book? We’d say odds are reasonable. July 31 is a little early for prices to drop. We’ll have the SW factor helping however. If it doesn’t work out, just have plans B and C in mind. Thanks for keeping us updated on SW’s entry into the Hawaiian market. SW has been playing it very cagey with information; this is the most definitive potential timetable I have yet seen. I’m looking forward to less expensive inter-island flights, and a less expensive but more extensive selection to the mainland! Thanks for keeping us up to date! I’ve been checking your website once a day hoping Southwest would get its act together in time for my March trip to Hawaii. I finally caved yesterday and bought Alaskan flights. Oh well – I’ll use the Southwest points for my next trip. Good plan. Don’t think we’ll be waiting much longer however to hear from Southwest. Aloha! Thank you for your awesome information! I am stressing about our upcoming trip to Oahu. We will be leaving from San Jose in early July. I picked that city based on your recommendation of it being a cheap gateway city and for the fact that both Hawaiian and Southwest (hopefully) fly out of this city. Right now I see flights on Hawaiian (days and times that I want) for $2800 for 4 of us. Do you think it is worthwhile to wait for Southwest’s entry into this market? I am nervous because I don’t want to overspend but at the same time I am nervous because I don’t like not having flights for that portion of our trip? What would you suggest? Please let me know your thoughts! Thanks for any information! When SW announces, we won’t necessarily see sales for that peak summer season. That isn’t how airlines work. Sales for summer and generally lower prices in all seasons, will arrive with time. We’re seeing that route at about $700 RT, and gut feeling is it will come down to $500’s before it is said and done. Not sure what that does to your timing on purchase, but that’s the insight we can offer as of today. My wife and I are looking at returning to the Islands for the first time in 25 years during the first week of December 2019. I know it is still a year away but we are looking forward to having Southwest as an option. We are traveling from Pittsburgh to Honolulu and were wondering is it best to fly first to one of the west coast destinations that you mention and look for a deal from there or try and book a package from somewhere closer to us like Chicago? Will Southwest make it less expensive to fly from eastern United States spots to the Islands? We’ll know soon enough how SWA will handle this. It would seem you can build your trip from Pittsburgh or another nearby location all the way to Hawaii. Stand by for more information soon. Since you’re traveling in low season, don’t stress about booking it soon. Might work better to wait until late summer. Thanks for all the great information. I can’t wait to use our SWA points to fly to OGG. I check your website every day, just waiting for the news! Great Info…Thanks for keeping us posted. Hi! Thanks for the info! As a high school graduate of Pearl City, due to Military move, I have been excited for the opportunity to go back and visit the Islands at reasonable rates. It has been over 10 years since I have been back, thank goodness for social media. My question, do you think that SWA will have a 24hr, or so, deeply discounted rate to Hawaii for there inaugural flights? I know they and plenty of Airlines have done this sort of thing in the past when they start a new route to a prime destination. Thanks again! The fare wars that will occur will be long lasting – you don’t have to worry about that. This will go on for months to years. Wow! Just have to say this is very helpful and in depth information. Thanks for all you do. Mahalo! As you can see from what we published today, it isn’t clear that they will or will not be flying. I wanted to return to Hawaii for spring break for the past several years, but found the cost prohibitive. I instead went to Mexico from San Diego on Volaris Airlines, but for 2019 I nabbed a reasonable fare on a major airline a month ago. It was about $200 cheaper from San Diego with a short haul connection to LAX than it was from LAX to Hawaii. I am hoping to fly to Maui approx the 3rd week in January for 9-10 days. I’m flexible with my dates. Where is better to fly to Maul from when leaving from Calif? Is there a site like Google Flights that show you Alaska and Hawaiian air? Thanks! Yes you can check on Google Flights or any other OTA (Expedia, Priceline, etc.). Oakland, San Jose, and San Diego are generally the lowest priced gateways. Hi, I was waiting for Southwest to fly to Kona so I could visit Waikaloa Village end of December. I don’t think this is going to happen through Southwest, so wanted to ask you what is a good flight price for the week before Christmas? You didn’t say where you are traveling from, but IP says Bay Area. Also without specific dates, it is hard to help. For example, OAK-KOA on 12/16-12/25 is $341 on Alaska. That’s the cheapest date pair. Goes up from there to about $900. I recently heard from a old coworker that’s is now a SWA flight attendant that reservations for Hawaii will start on January 1st. She didn’t have info in the first flight date. I am planning a trip to the island of Oahu and traveling from Los Angeles or Long Beach, looking to stay 7 days starting June 17. I know this is peak time but still looking to save where I can. Should I bundle? When is the best time to book? Any suggestions? Bundle only if you like that concept, but not to save money. Very expensive time. Southwest should help with that, but still expect to spend in $500’s RT. Probably would wait if you are flexible and can stand not knowing. Then Anytime you see that target, go for it. Thanks for sharing such a nice post. Please keep on posting such informative post in future so that it can help me out – once again thanks a lot. I believe SWA is using the new Boeing 737 Max 8, which is the same plane that crash in Indonesia. See the Wall Street Journal article regarding the Angle of attack sensors and Pilots not being brief on new anti-stall system. This is probably holding up SWA as well.